Participation in school sports provides a sense of belonging and being part of a team or group. You interact with your peers in a friendly manner. You learn to consider the interests of your teammates and to practice mutual respect and cooperation. The risk of blood pressure, heart disease, osteoporosis and other chronic diseases is lower among physically active people, which makes it all the more important for students to appreciate the importance of physical activity at a young age. The future generation of doctors has an important role in being role models to society. 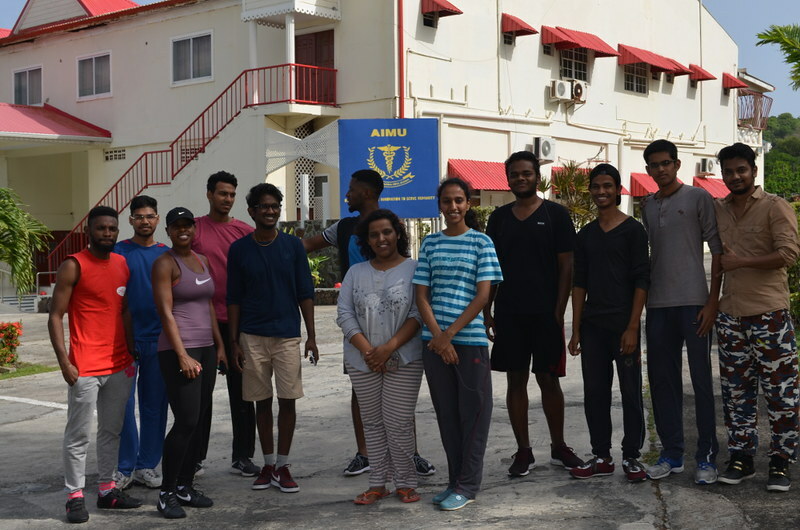 Recently SGA held its sports events for the students and faculty of AIMU. The event began with a Marathon Race on 7th July, followed by Table Tennis Doubles in the evening. Both these activities were held in AIMU premises. Students and faculty showcased their talents during these games. Refreshments were provided by SGA. Participants were also accompanied by St. Lucian Police while they ran the marathon race. Football and Cricket were held on 14th July at the Gros Islet Sports Ground. There were two teams who gave a tough competition to each other. They should be appreciated since they finished their match despite bad weather conditions in the island. Overall, the sports events held by the SGA members was successful and an achievement for AIMU. We hope to host more such events in the future.